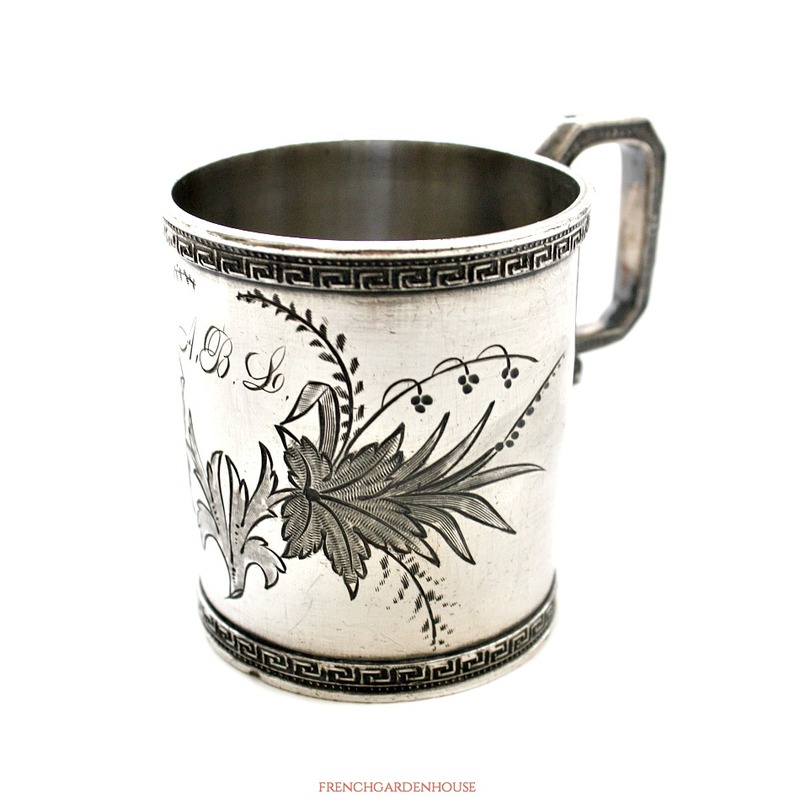 One of the prettiest Victorian Silver Baby Cups I have been able to acquire recently, this is a petit treasure for your collection. 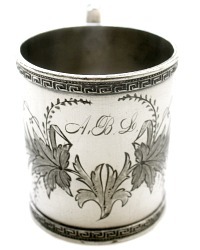 Most often presented as a luxury Christening gift to a new baby in the family, these heirlooms were cherished and loved well, passing from generation to generation. 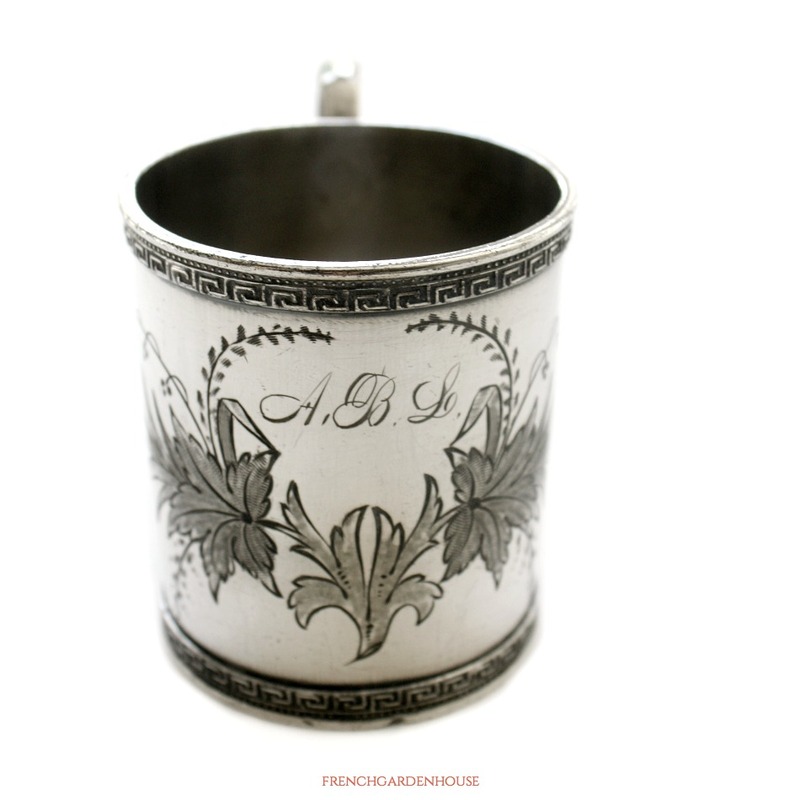 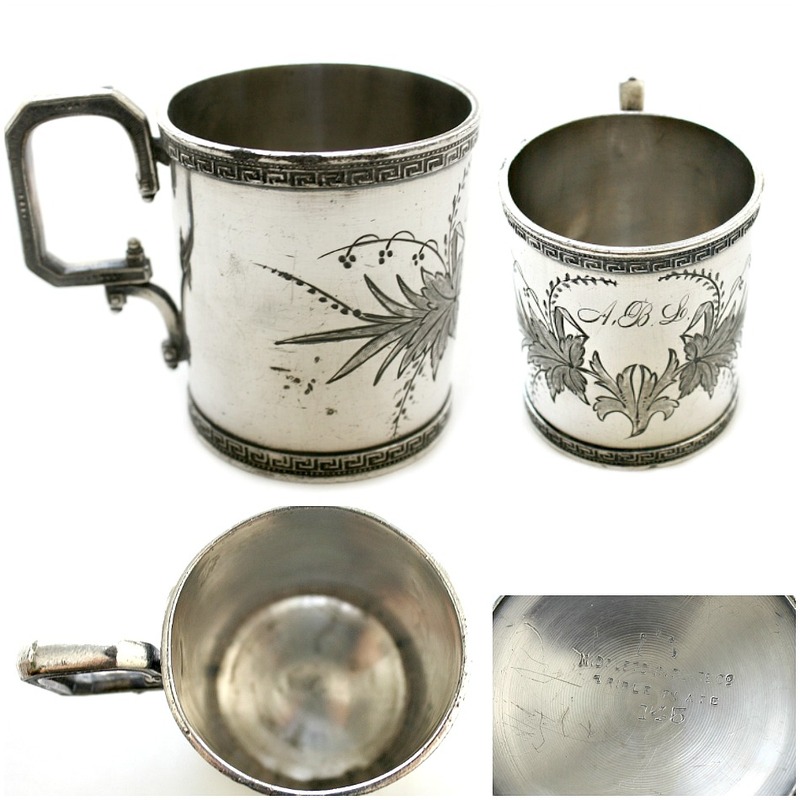 This cup is triple plated, straight shape with large formed "C" handle, this has beautiful hand chased and etched floral design in the center forming an elegant cartouche, which is engraved with A B L.